Sean is a physical preparation coach with interest in maximizing the health and performance of the athletes he works with in UW Health Sports Performance. He is specifically interested in the integration of multiple training methods that extend beyond the traditional weight room exercises to ensure that the athletes excel in their sport(s) of choice. 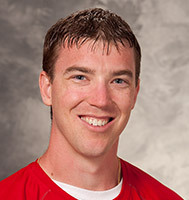 Sean holds degrees in both Kinesiology-Exercise Physiology and Nutritional Science-Dietetics from the University of Wisconsin-Madison. He is a certified strength and conditioning specialist, registered dietitian-nutritionist and certified sports nutritionist, allowing him to assist athletes in multiple capacities.